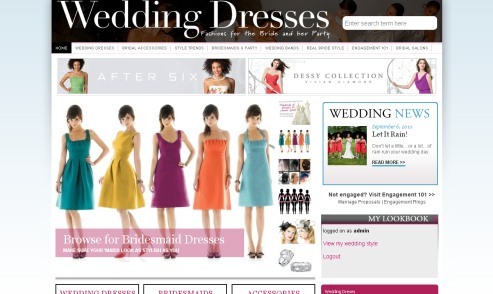 WeddingDresses.com, the go-to place for today’s high bridal fashion, has been relaunched and given a face lift. Browse wedding dresses, find hot bridal accessories, read up on the latest style trends and more. The new site also features real weddings, in-depth shopping style guides, and a “lookbook” where brides can save their favorite designs found in the dress search. As of today, this blog will no longer be updated. To continue reading the latest wedding news, check out the WD Daily Blog.